Ambition hit me, off I went and bought a bunch of Basil and decided, Summer be damned, I’m making a batch of Pesto in November. It’s so easy to prepare with a food processor thatI asked myself what’s taken you this long? The taste of fresh Basil is one-of-a-kind, and so versatile it works with vegetables as well as it works with Pasta. 1. Into the food processor add the Basil leaves & pulse a few times until they’re finely chopped. With a spatula scrape down the sides of the bowl. 2. Add the Garlic, Nuts, Parmesan Cheese, Salt & Pepper & process until very smooth. With the processor running, begin to add the 1/2 cup of EVOO into the tube-like-funnel on the cover of processor. 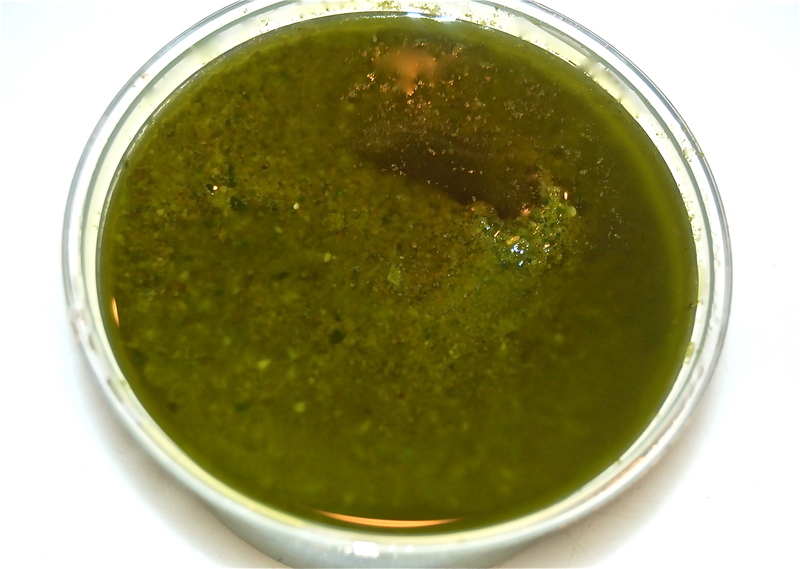 When the Pesto has attained the proper consistency, it’s ready. 3. Transfer to a container, top with a thin layer of EVOO. It will keep in the fridge for a week, in the freezer for 6 months. though I highly doubt it will make it.